Lots of 4-H activities! Fair Books available at the OSU office. When you visit the Noble County Fair this week, don’t miss the opportunity to learn more fun facts about Ohio Agriculture. 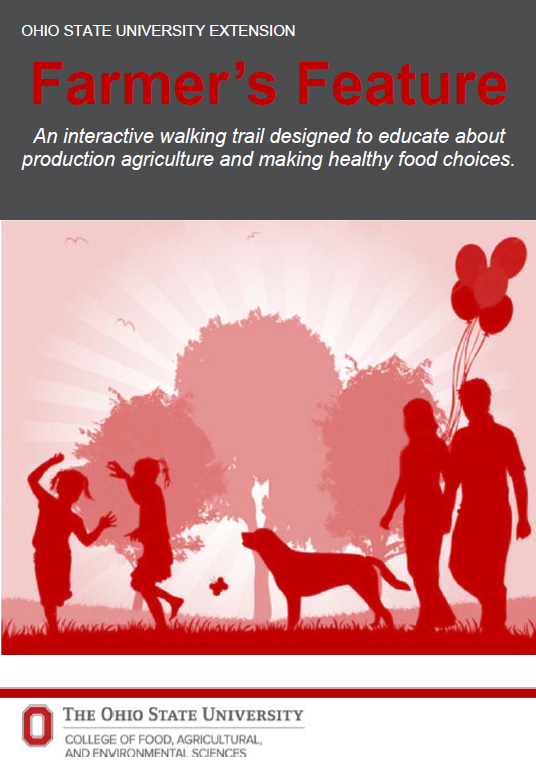 Walk the Farmer’s Feature Trail! This 0.25-mile loop on the Noble County Fairgrounds will teach participants about production agriculture and making healthy food choices. People of all ages are welcome to participate. Begin at the OSU Extension Booth in Burkitt Hall, where you will find a worksheet to take along with you on your walk. From there you can visit six different stops to learn more about agriculture, making healthy eating choices, and the impact they can have on your lifestyle. Once you have completed your worksheet, return it to the Junior Fair Board Office to receive a prize! The Farmer’s Feature Walking Trail was initially created with support from Ohio Farm Bureau, Noble County Lions Club, Farm Credit of Mid-America, and OSU Extension. This year’s prizes are provided courtesy of Noble County Farm Bureau, Farm Credit of Mid-America, and SNAP-Ed. Thank you to all of our sponsors!